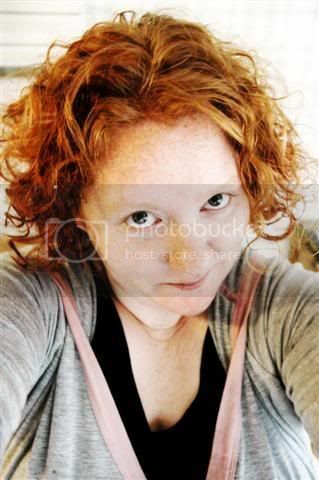 Anne's Food: Cookbook Watch: Pink! I have to tell you about this book - from all the ones I've seen this fall, this one really does stand out. 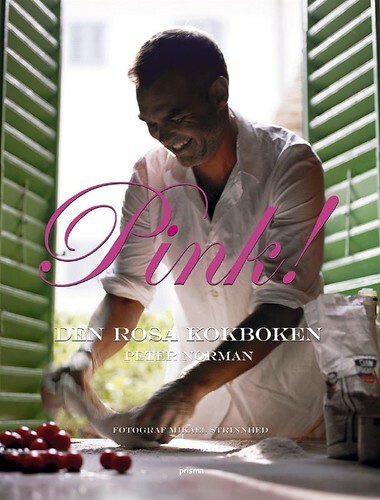 It's the first book by Swedish chef Peter Norman, and he has created something called "Pink! - the pink cookbook" and it's touted as a "gay lifestyle cookbook". So what does that mean? Well, at the release party Peter explained it as being the kind of life where you have two adults with reasonable incomes, no kids and lots of time to cook. So, essentially - time for the good things in life! I have to say right off the bat that it's somewhat of a shame to plug the gay angle of this book so very much. See, it's a wonderful, brilliant book - with lots of gorgeous food, beautiful pictures, lovely inventive recipes and many photos of very beautiful models (all Peter's friends, in different parts of the world), but I'm afraid that the gay angle will prevent some people from buying it. And that's a big shame, because this book is one of my new favorites and I think it has endless appeal! The book is divided into different cities, rather than the usual "appetizers, mains, desserts". The trip starts at Färingsö where Peter and his husband has a summer cottage, and it then moves on to Ibiza, Barcelona, London, Sydney and many other cities around the world. The publisher said that "a book very rarely starts with the buying of three around-the-world tickets, but this one did!" Here's some of the food that we were served at the release party. 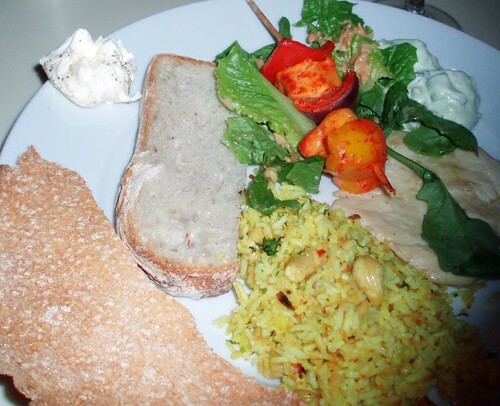 Flatbread, a delicious coconut-lemon rice (that was the first thing I cooked from the book - hugely successful, I'll tell you all about it! ), halloumi chilli skewers, chicken, an avocado-wasabi raita (the only thing I didn't care for much) and then a yummy salad with peanut dressing. In addition to the nice writing and the good recipes, the photos are absolutely mouth-watering. Good job by Mikael Strinnhed! I also like that they've chosen a rather luxurious paper quality - thick, glossy pages! It's a real treat to leaf through, and I can't wait to cook more from it. This book is only available in Swedish, and it's published by Prisma. They could have called it that then; Cooking for DINKS or something. But then this is the reason for why I will never be hired as an AD; the absence of the ability to make up catchier names. I've never heard such a stupid thing as to a gay couple being equal to no kids.